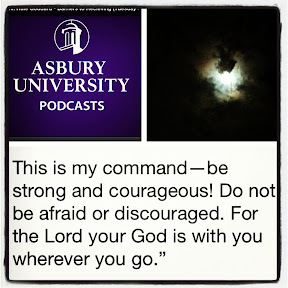 The words of a former professor - found in a podcast archives, the wind blowing clouds across a bright moon, a Bible verse "popping" up as the verse of the day in YouVersion. Sometimes the Holy Spirit shows up in mysterious ways. God Sightings is how one children's ministry curriculum labels it. Things that happen that make you think about God in new ways. Just a few things that happened today/as the week ended - another mile marker on the journey known as Lent.